It has been a long amazing week of Google events in Lagos! From the masterclasses to the parties, I cannot wait for Youtube NG to explode and I'm so glad I'm a part of it! Also this is the 100th episode of Sisi Weekly! I cannot believe it! It has been a fun ride! Don't forget to SUBSCRIBE if you haven't, we are growing the squad! Nice! So how are we going to celebrate this 100th episode? God has been faithful just like that! You should do a giveaway on your next vlog to celebrate it though. 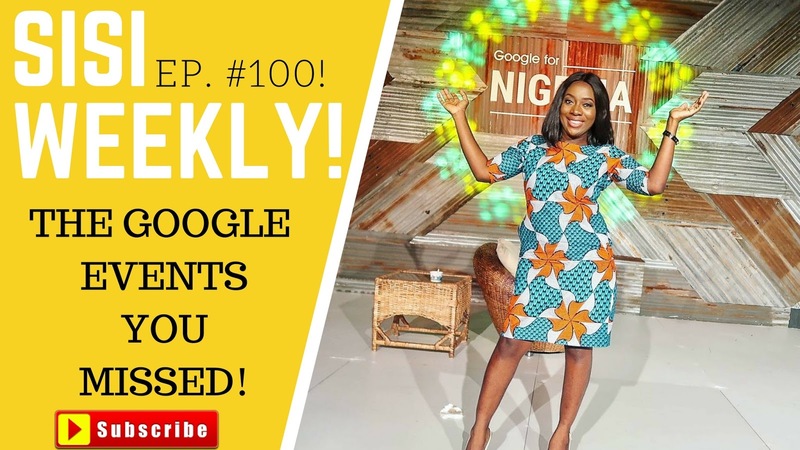 like this blog it's nice seeing Google do great stuff in Nigeria in order to empower people. good work I wish to be in Lagos for it.